"Uncontested divorce" can refer to a simple divorce action between spouses who have no issues to resolve or it can mean the amicable resolution of divorce-related issues through mediation or other out-of-court means, such as a marital settlement agreement or consent order. Uncontested divorces of either type are typically far less expensive than contested divorces. Even if attorneys have to examine financial records and invest long hours in mediation, this consumes less time than preparing for or waiting in court. A simple uncontested divorce action generally takes place in the same family court system as a contested divorce, so there's no separate process. If even one issue is unresolved, a divorce is contested. For example, while you may be able to agree on child custody, you may fight bitterly over alimony; where neither party qualifies for alimony, you may fight bitterly over the division of marital assets and debts. While it makes sense to resolve whatever you can and reserve your resources for areas where you just can't seem to come together, a contested divorce can drain your finances on just one issue. If your uncontested divorce suddenly becomes contested, you'll have a lot of work to do. You'll need to file a reply to the allegations of the countersuit and engage in discovery -- the process of obtaining and examining the other side's evidence. 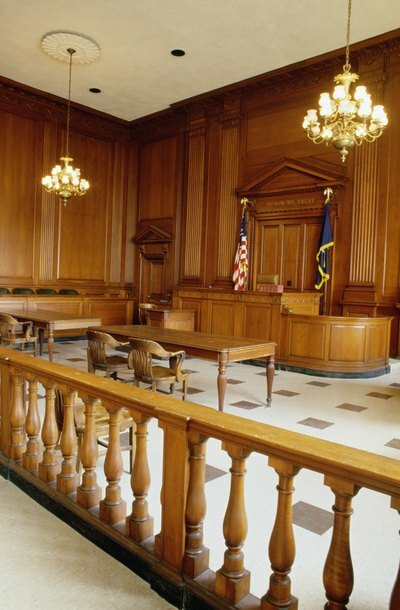 You may have to appear in court to litigate temporary or preliminary issues, such as interim child custody or support, or interim possession of the former marital residence. Depending upon your state and locality, you may have to attend mandatory mediation sessions before you can get a trial date. Throughout the process, you can continue to negotiate as your case develops. If even after going through the pretrial process, you and your spouse still cannot reach an agreement, any outstanding issues must then go to trial. At that point, a judge will make the decision. This can be expensive for the parties, but you can settle at any time up to the eleventh hour. If you do settle the case, you can turn your contested divorce back into an uncontested one. While you may have to give up some of what you want in order to reach a settlement, you avoid the possibility of the judge ruling against you. Depending upon your state and your needs, you may pursue a bifurcated divorce, where your marriage terminates but issues such as spousal support and property division remain outstanding for later resolution. Most states, such as North Carolina, allow you to reserve outstanding issues for later hearing. Bifurcation allows you to end the marriage and move on with your life while the time-consuming process of resolving spousal support, alimony or any other issues goes on. Marc P. Feldman, Esq: How Does the Contested Divorce Process Work? Peace is to war what mediation is to litigation. When you or your spouse files for divorce in Miami, you have the option of fighting it out in court or working it out in a cooperative fashion. Working it out can save you money and lessen the emotional damage that often results from a contested divorce. Accordingly, the Miami-Dade County courts frequently order mediation before trial to give the parties a chance to come to an agreement they both find satisfactory. If you are required to mediate, or request mediation, the mediation division of the county court system will supply an in-house mediator, although you are free to ask for your own private mediator, pending approval by your spouse. How Long Would a Divorce Take in Tennessee?